COBIT 5 advocates that enterprises implement governance and management processes in such way that all key areas are covered. It does that by providing a process reference model, which defines and describes in detail 37 processes, divided into governance and management areas. 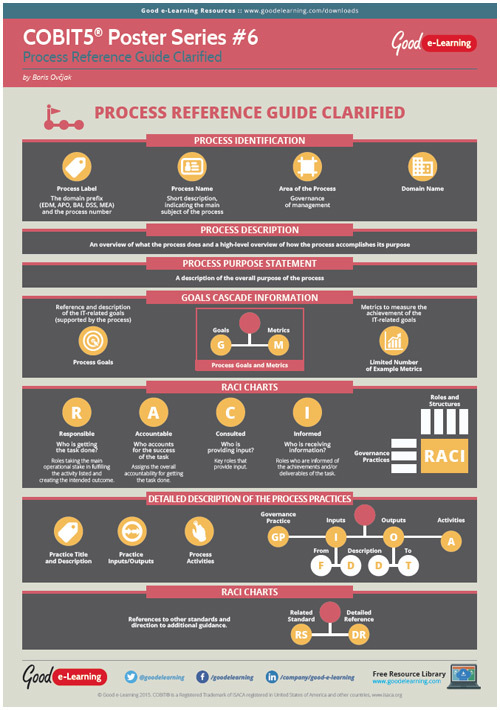 Each of these processes itself contains detailed process-related content, all presented within this poster.